Skype's call and messaging service has been removed from app stores in China, including the Apple app store. Apple says it is one of several apps to have been removed after the government said it does not comply with local law. Skype owner Microsoft told the BBC the app had been "temporarily removed" and the company was "working to reinstate the app as soon as possible". The app is also no longer available for download on Android app stores in China. Media reports suggest the disruption to Skype started in October. Apple said in a statement: "We have been notified by the Ministry of Public Security that a number of voice over internet protocol apps do not comply with local law." "Therefore these apps have been removed from the app store in China." Meanwhile, a Microsoft spokesperson said: "The iOS version of Skype has been temporarily removed from the app store in China... we're passionate about the benefit that Skype offers to our users around the world by facilitating communication and enabling collaboration." The company declined to comment on when its Skype app was first removed, or the situation with Android. 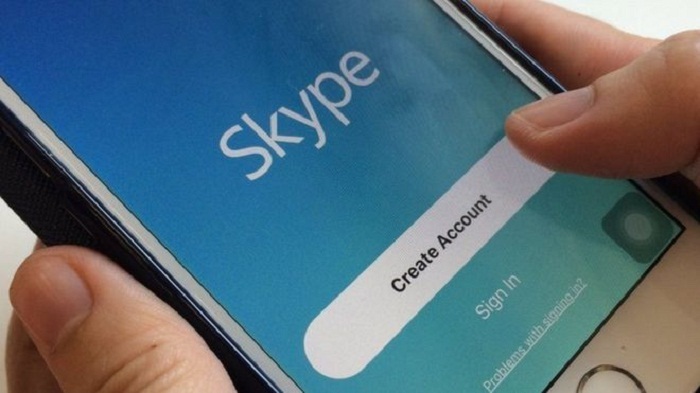 Tests by BBC staff in China found Skype was not available for download on Apple or Android app stores on Wednesday. The tech giant has come under criticism before for withdrawing products from its Chinese App Store. In July, creators disapproved when the tech giant took down more than 60 virtual private networks (VPNs) which circumvent China's internet firewall because it was "legally required to remove them" under Chinese regulations. On Tuesday, Apple revealed that it had removed 674 VPN apps so far this year following a request by the Chinese government. In a letter to two US senators, the firm said it had been "ordered" to remove specific VPN apps even though it "questioned the legal basis of the request". Apple said it was told the VPN operators had violated of Chinese cyber security laws. Those laws are seen as part of efforts to control public opinion and eliminate anti-government sentiment on the internet in China, and have raised concerns from foreign companies trying to expand their user base in China. Correspondents say that Skype, when downloaded from outside China's firewall, has been seen as a semi-secure way of discussing sensitive topics away from the eyes and ears of China's state security. Skype is just the latest in a string of foreign owned digital and internet platforms - including Alphabet's Google, Facebook and Twitter - which have become unavailable to Chinese users.